Is the Racer Elite Piston the Biggest Bang For Your Powersports Buck? New to the market is the Racer Elite - the first ever 450 asymmetrical pistion design that netted a 2.9hp gain while reducing blow-by. Also new is Wiseco's economically priced 450cc enhanced pin tower piston that's designed for endurance. Dirt-bike enthusiasts and racers have two new piston options from Wiseco Performance Products with the release of the 450 Enhanced and Racer Elite series. “The 450 Enhanced is our service level piston and designed to be more durable under high RPM and loads over a standard piston,” says Wiseco engineer Dave Sulecki. “The Racer Elite is an asymmetrical piston, which is unique for the powersports market. Designed to withstand the demands single-cylinder, 4-stroke engines that rev over 14,000 rpm under often brutal off-road conditions, both piston series are constructed from 2618 aluminum alloy. Two flavors for 450 fans. (Left) The Racer Elite is a no expense spared, top of the line 450 billet piston with all the bells and whistles. (Right) For the budget conscious rider, there's the 450 enhanced pin tower piston that has many of the same great features as the Racer Elite. Both pistons feature a boxed forging with an enhanced pin tower for greater durability under prolonged, extreme riding conditions. The 450 Enhanced series features an enlarged wrist-pin tower design to improve durability for off-road use and some racing. Crown geometry is specific to each engine application, and all dome designs are engineered for improved flame travel to maximize combustion. 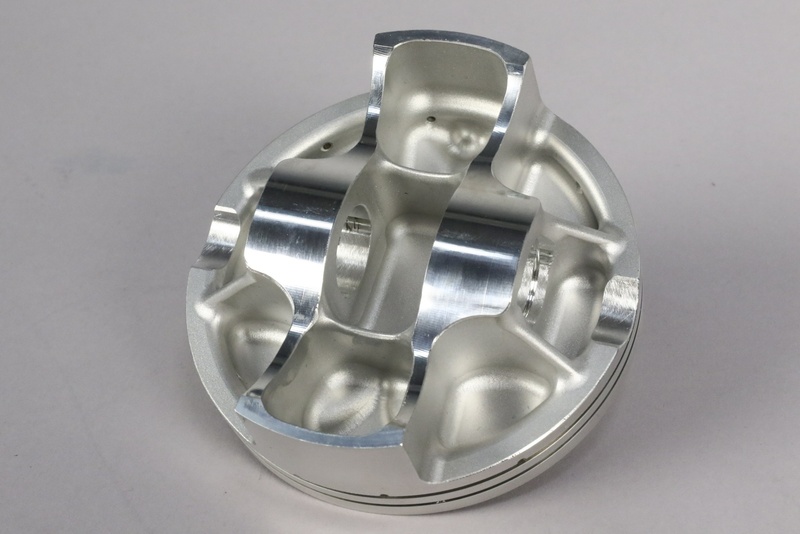 In many applications a piston can also be ordered with an increased dome volume to boost the compression ratio. An ultra flat piston ring is normally found in Pro Stock or NASCAR cup engines. 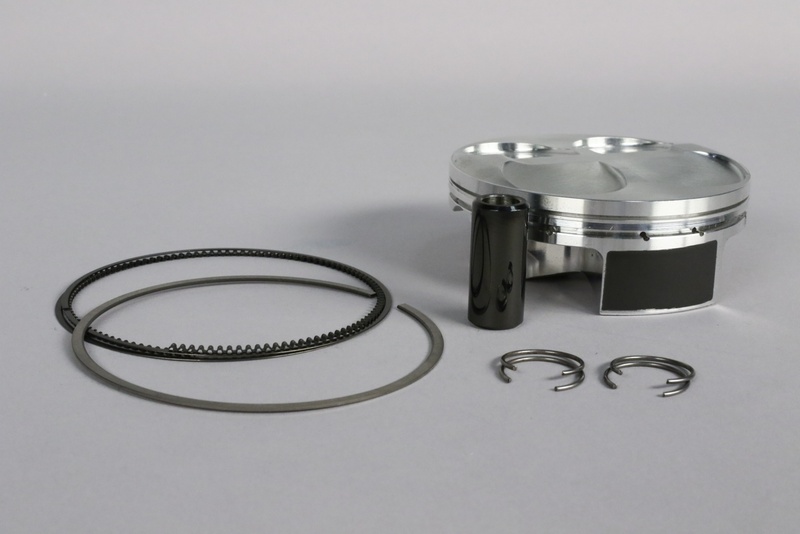 We include one with our Racer Elite piston kit. Additionally, a DLC coated pin provides the ultimate in pin strength. The ring packages for each series includes a gas-nitrided top ring designed with positive-twist geometry. That is, the ring features a bevel cut on the top inside edge that promotes a positive or upwards direction of the ring face when viewed from the profile side of the piston. 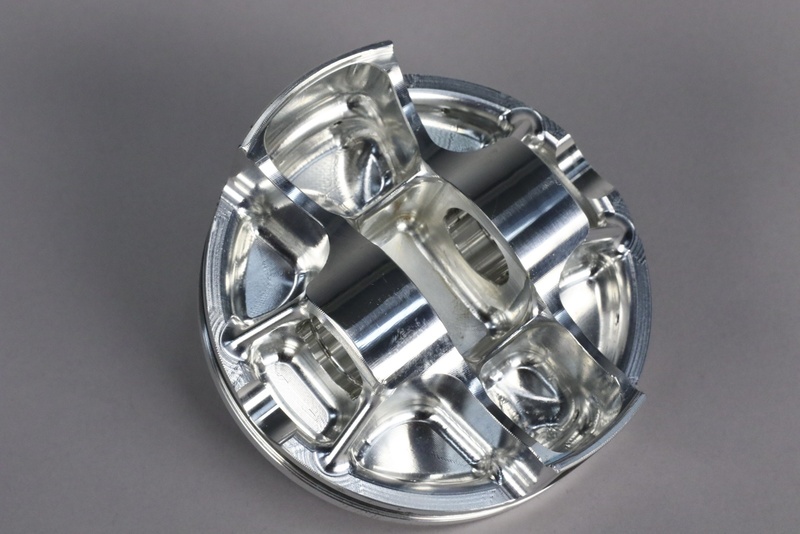 Basically, this design is used to help take up clearance in the ring groove by using cylinder pressure to push down on the inside bottom edge of the ring—which then makes contact with the floor of the ring groove. This action also forces the outside top edge to twist upwards and make contact with the roof of the ring groove—thus, creating a better seal that reduces blow-by around the top compression ring. (Left) The 450 enhanced pin tower piston comes with a symetrical skirt while the Racer Elite (Right) comes with an asymetrical coated skirt design. For the Racer Elite series, Wiseco matches the compression ring to the piston groove. With this procedure, Wiseco says the clearance between axial height of the groove and the ring itself is less than .001-inch. The ring, therefore, lies flat against the floor of the groove to reduce the chance of blow-by around the ring. Blow-by is a negative situation where combustion gasses can pass by the piston, reducing efficiency and costing you performance. 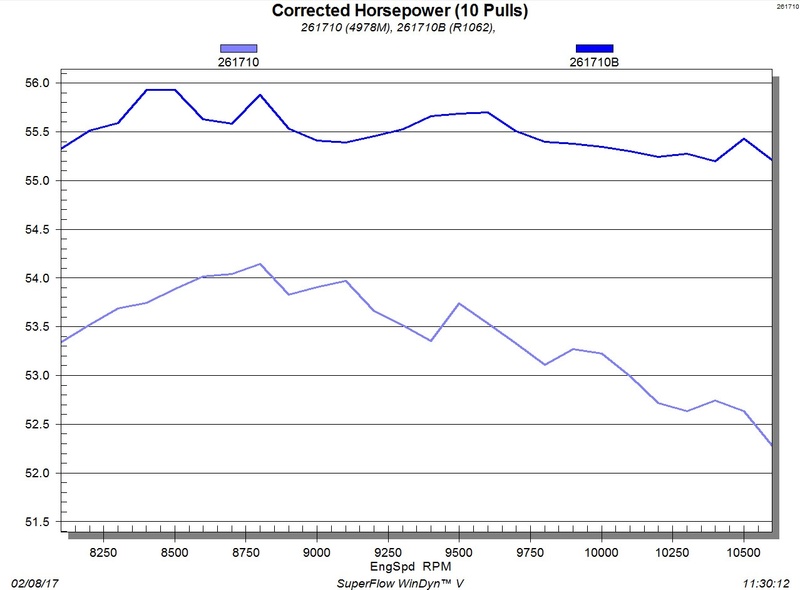 Here's a 10 run average between a stock versus Racer Elite piston in a CRF450R dyno mule. A gain of 2.9 horsepower makes the Racer Elite piston one of the biggest bangs for your powersports buck. As mentioned earlier, the Racer Elite piston features a billet asymmetrical design, meaning the width of thrust-side skirt is larger than the opposing skirt where there is less piston contact with the cylinder wall. 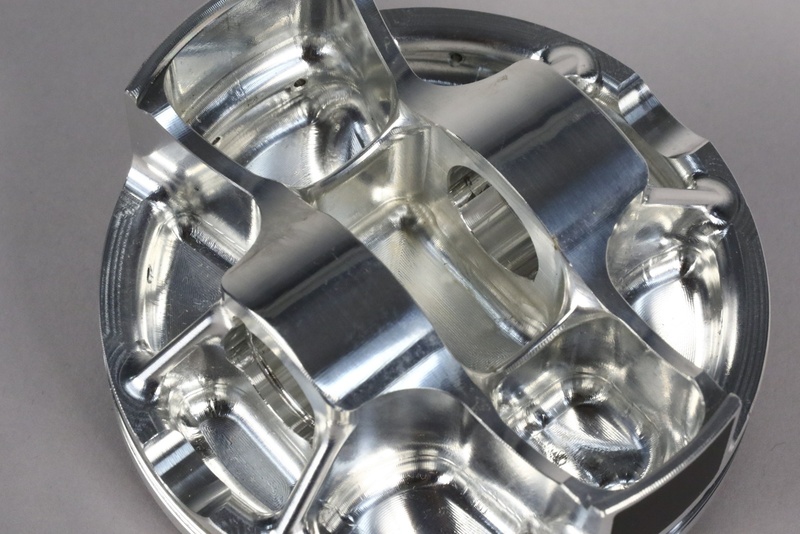 This design reduces friction considerably over a traditional piston with a full-round design. In addition to a beefy wrist-pin support structure, the new Racer Elite series will come with DLC (diamond-like coating) 9000 series steel pin that is secured with circlips. 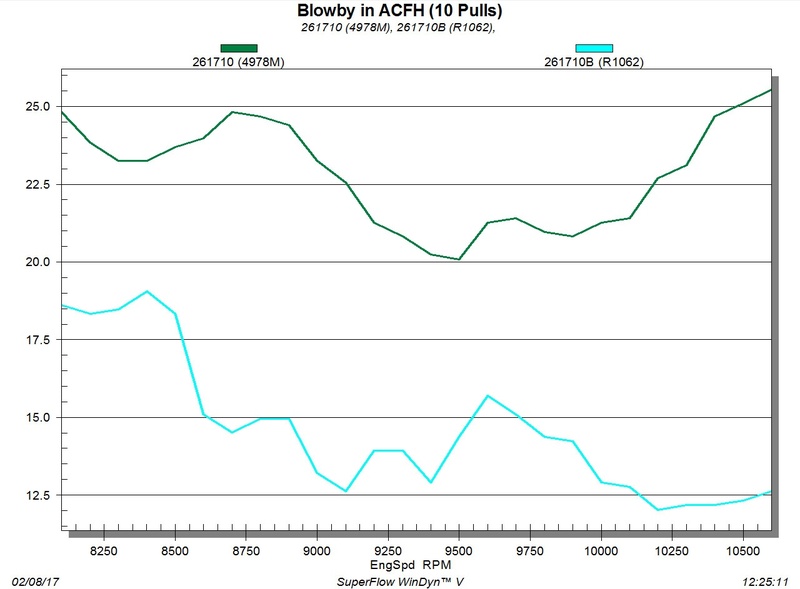 Thanks to the lapped ring and superior piston machining, blow-by is reduced by 37.7% in testing. Less combustion gasses getting past the rings equals more horsepower! Racer Elite pistons also feature Armor Glide skirt coatings that helps reduce friction and scuffs along with providing a quieter operation. The 450 Enhanced and Racer Elite series are available for all popular motocross models, including those with 250cc, 350cc and 450cc engines. 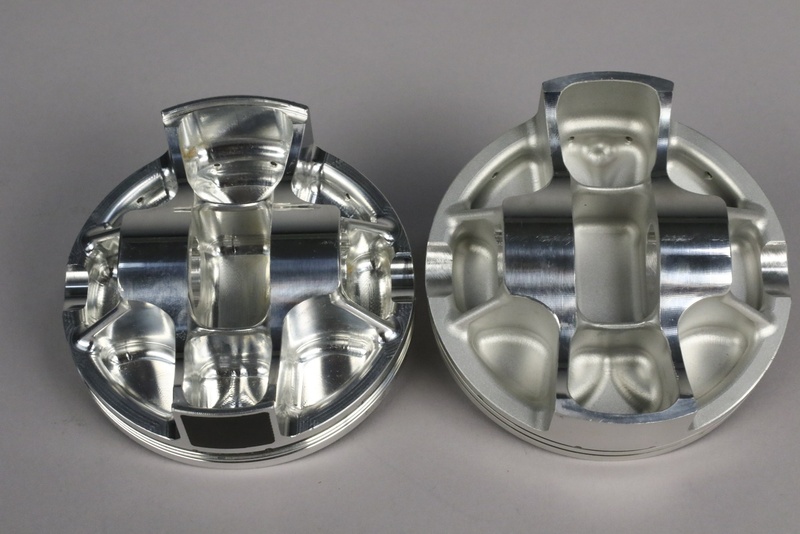 These high performance pistons will be available to the market starting in April 2017.